The increasing use of plastic water bottles in the US and in other countries around the world has contributed to the increasing issue of disposal of plastic water bottles. The said country has been reported to have used billions of plastic water bottles for the past few years. Unfortunately, these bottles are tossed just about anywhere, which are even left at beaches or at areas where these could find their way to septic tanks, sewages, and finally, to bodies of water. On the one hand, burning plastic water bottles is a big no-no since plastic compounds don’t break down and it can contribute to the tons of greenhouse gases in our environment. Unfortunate as it may sound, we can’t just discount the fact that plastic water bottles are very useful, especially if you’re always on the move. For one, mountain climbers would never want to bring glass water bottles because it’s heavy. Two, parents would not want their kids to bring glass water bottles to school, too, as they might break it. But, this should not worry you as there are still a lot of water bottles in the market that are created in a cleaner and greener way like Kleen Kanteen. What about Nalgene bottles? What is all this Nalgene bottles hype all about? Basically, the hype goes down to the same bottom line that all plastic water bottles do – BPA or Bisphenol. What is BPA then and how come everyone’s making a huge fuss about it? To start with, BPA is a chemical compound in plastic bottles that are made of polycarbonate. These are found in the linings of canned goods, baby feeding bottles, plastic water bottles, and the likes because it has the ability to keep all other chemical compounds intact. BPA has been found to be a potential carcinogen, which means it can trigger the activation of cancer cells in the body. It can also emulate hormones and can disrupt its normal processes. BPA also has the potential to put a human’s reproductive system into a hiatus and can even cause underdevelopment and possible defects to fetuses. Truly, the horrible effects of BPA to a human’s body are scary, which causes the hype on Nalgene having plastic water bottles with BPA. Fortunately, Nalgene has already recalled all of their non BPA-free bottles in the shelves of aplenty of grocery stores to meet consumer requests; particularly that Nalgene is a brand that’s present at home, in school, in the office, and even in climbers’ backpacks. Nowadays, Nalgene bottles are processed using Eastman Tritan copolyester sans any trace of polycarbonate. It’s such a good thing that Nalgene did the move immediately without waiting for their sales to go hiatus. What makes Nalgene a household name? Why do people grab a Nalgene bottle when there are other cleaner and safer choices out there? Let’s take a look at Nalgene’s features and downfalls and its recent characteristics too see whether or not it’s really safe to put it back in your back pack or on your office table. 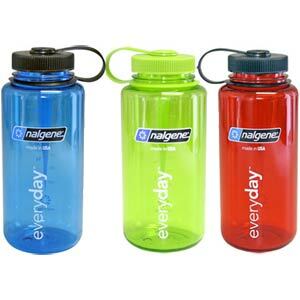 Convenience – This is the top reason that people always looks for Nalgene. Whether consumers are planning for a picnic, a mountain climbing, a cycling activity, or just a new water bottle for their kid to use in grade school, Nalgene is the best pick because it is very easy to handle. Even when it’s filled with water, it’s still easy to handle sans the added weight. Because of this, Nalgene has become the best pick for climbers, hikers, and people on the move. Durable – Nalgene bottles are known for its durability. It does not get damaged easily, making it a topnotch for people who are into intense physical activities and wants to have a water bottle with them while on the move. It can resist constant scrubbing and can withstand hot or very cold temperatures, too. In fact, a sports lover and hiking enthusiast is convinced of its durability as he has been using it every day for nearly four years, yet it still manages to maintain its functionality though its appeal has lessened. 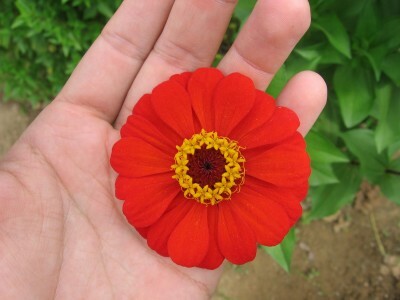 Flexible – It’s not bendable, but it can be added with water filters, fitted with other types of covers, and the likes. Because of its popularity, most water bottle add-ons in the market are actually suitable to any Nalgene water bottle. Speaking of flexibility, its retaining strap that attaches the cap to its body makes it a perfect partner for anybody who does not delay in any minute. The design is simply easy, yet fully effective in making sure that you still have the bottle’s cover even after a day of constant physical activities. Odor and stain resistant – Having a water bottle that’s odor and water resistant is like having a clean water container all the time even if you are in the middle of the jungle or covered with mud. Affordable – Although it’s got some of the best characteristics of a water bottle in the market, its price stays as affordable as possible. Its price ranges from $5-$12 while Kleen Kanteen‘s product prices range from $14-$35. On the one hand, Platypus Plus Bottle prices range from $15-$17. Probably, the only con that Nalgene has is its unreliable cover. It can get really nasty, especially if you close it too tightly. Its o-ring is made firmly and you’ll have difficulty opening it immediately. Despite the fact that Nalgene water bottles have manufactured BPA-free water bottles these days, it is still advisable that they’re still processed with the presence of chemicals in it, and these chemicals could be activated thru certain activities. Once activated, they could leach to the water inside the bottle and could enter to your body system. Therefore, it is imperative that you should know how to take care of your Nalgene water bottles. Firstly, wash newly bough Nalgene bottles before usage. When washing these bottles, use your hand with the aid of mild detergents and don’t place it in dishwashers. Furthermore, avoid using strong detergents or bleaching solutions when washing Nalgene bottles. Keep it away from direct sunlight and in any areas where heat might be concentrated as it might activate the chemicals or shorten its life. It is always ideal to replace worn out, damaged, and very old Nalgene water bottles. Meanwhile, fret not because there are a lot of alternatives of Nalgene water bottles in the market. For one, there’s Kleen Kanteen, in which most of its bottles are stainless steel. Although their products are quite expensive, you can be assured of its durability and mold and stain resistance. It’s also BPA-free. Another option is Platypus. It is another easy to use water bottle and can hold as much as 2 liters of water without adding more to its weight. It’s also a bit cheaper than Kleen Kanteen. Rubbermaid’s Chuggables offer water bottles from polypropylene, which is another BPA-free choice. Aside from these, there are also glasses. Glasses are always safer, more elegant looking, but thoroughly breakable. There is also HDPE or High Density Polyethylene, which is a softer, opaque plastic made from petroleum that don’t leach any chemicals to its content. Finally, we have corn based water bottles that use neither petroleum nor plastic materials in the making. On the one hand, use plastic water bottles with #1 at the bottom only ONCE. Using it twice or refilling it could leach its chemicals to your water. These chemicals are a possible carcinogen, which gives rise to the banning of plastic water bottles in most institutions, schools, and homes in the US. Are you still using unsafe plastic water bottles? Do your research and switch now. 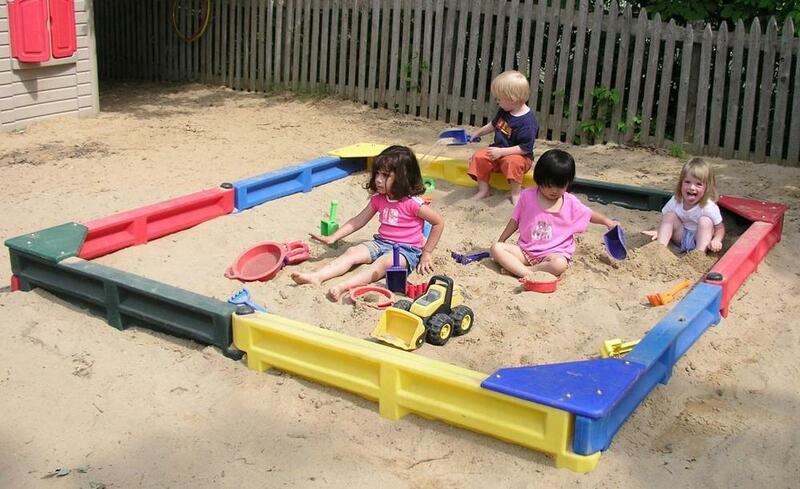 Is Sandbox a Safe Playground for your Little Kids?